Discussion in 'New Members Say Hello' started by cdnbob, Aug 7, 2014. A couple of years ago I came across the Holdman Christmas videos on youtube, and I was enthralled. And hooked. I've been looking at lots of different videos and related web sites since then to get a better idea of what's possible, what seems to work well, and what might work with my home. And where to start. Right now I'm leaning towards a setup using just RGB LEDs, J1SYS controllers, LOR Software, and maybe Super Star Sequencer. I'll start this year by replacing my static lights with an RGB string, adding a star, a wire frame tree or two, and upgrading my wreath to RGB, and maybe a couple of other small items. I want to do a LED ribbon (CCR) tree, and if things go well I this summer and fall I might give that a shot too, otherwise next year. I work in IT so I'm comfortable around computers and programming and electronics. I live in Canada in a place with real winter, so some of the wonderful displays I see that have small lit items at ground level won't work here - they'll get covered in snow. And I'll need to get setup early before it gets real cold. Well that's it for now. I'll finish with my first question here: I'm looking at the banner on this page - do kangaroos ever really see snow? Welcome to ACL lots of great help and advice here to help you along the way. 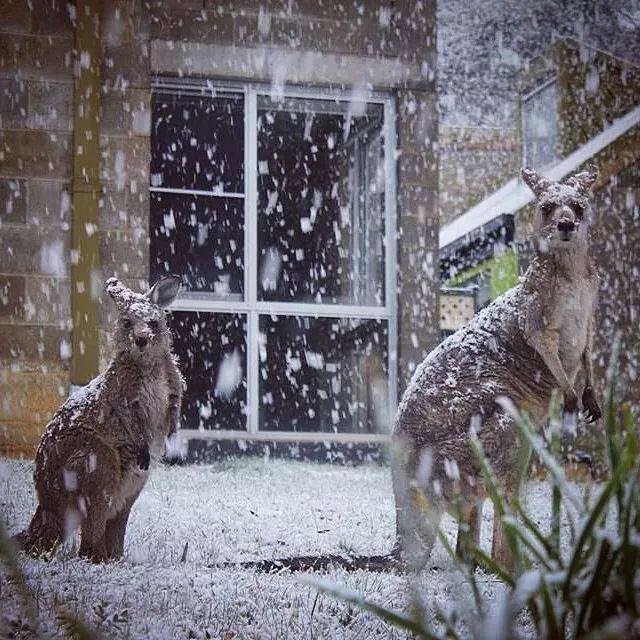 As far as kangaroos seeing snow, believe it or not they do in many parts of Australia during winter, like in the snowy mountains, Victorian higlands and in Tasmania. The thing is they see it not at Christmas time. The above photo was at Ballarat last week where it's always cold (compared to here) and it snowed. With an absolute coldest temp ever in Aus of -20C we don't see a huge amount of snow and the 'roos aren't silly enough to hang around where it's frozen when typically it never snows below 1km altitude. Welcome to ACL and make sure that you look around before lashing out on CCR's and Superstar. There's other alternatives to CCR's that are 1/5th of the price and Xlights/Nutcracker probably does just about everything you can do with Superstar and it's free, it's updated on just about a weekly basis and every week there's an online tutorial. Welcome to ACL Bob ! You have some very good of like minded blinky folks up north. I agree with AAH on the pricyness of CCR's. That said, I have 6 CCR's thus far. 2 have worked flawlessly for 3 seasons. Sadly the other 4 have yet to be used after 2 years. Maybe this year. Also keep in mind, CCR's come with controller and power supply ... as well as extra ends caps & gook used when cutting the strips. Funnily enough I was only thinking about lights and snow the other day and how it would look odd setting up your light a few feet above ground. Welcome to ACL. Although have lights glow thru the snow. I don't envy you at all. Give me a hot Christmas anyday. I think for most Aussies the novelty of a white Christmas would quickly ware off. This site is spot on for all the info you will ever need. Everyone is helpful and sharing..
You will enjoy branching out to the computer controlled lights as will your viewing audience. Yikes! It's the end of September and I've not posted anything yet, save my introduction note. Please forgive my tardiness for thanking everyone for their welcome notes. I appreciate the welcome. No place for a sensible kangaroo! But a great excuse to romp for a couple of Collies. (That's in March at the end of the season. 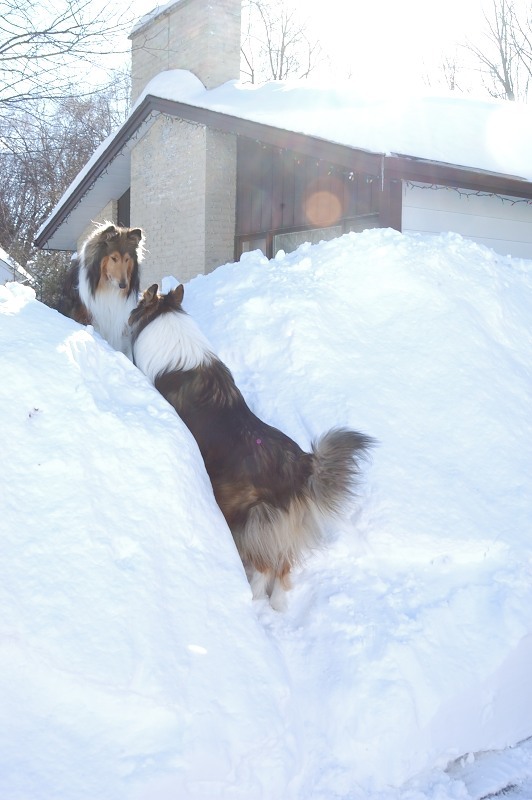 The snowbanks are much smaller at Christmas.) And for many of us in the GWN (great white north), a non-white Christmas is drab and dreary event. I guess I used the wrong term in my intro - when I wrote CCR I was referring to pixel strips in general. It seems I used a proper brand name. I'm not really looking at the CCR brand - like was pointed out, they're much more expensive than a number of alternatives. Now that Vixen 3 supports exporting to FPP, I've downloaded Vixen 3 and I'm getting familiar with it. I plan to be posting some questions shortly. I need to get crackin' on this if I'm going to be ready for this Christmas.